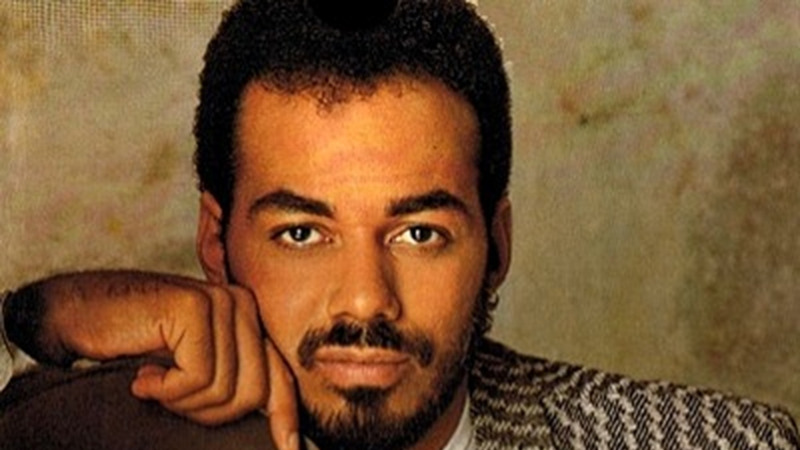 James Ingram, who has died aged 66, was an American singer, songwriter and producer whose greatest successes came in the fields of big-selling, commercial soul and R&B music throughout the 1980s. While he had a number of hits in his home country, it was only his greatest successes which really broke through in the UK; here, he is remembered for Baby, Come to Me, a smooth, duetted love ballad with Patti Austin from 1982; the upbeat pop-funk of Yah Mo B There (1983) with Michael McDonald; and another duet in Somewhere Out There (1986), this time with Linda Ronstadt, which soundtracked the hit children’s animated film An American Tail. The breadth of Ingram’s recorded career and the esteem in which he was held in the entertainment industry can be measured by the diversity of awards he found himself up for. He was nominated twice each by the Academy Awards and the Golden Globes for his film soundtrack work, both for The Day I Fall in Love (1994) with Dolly Parton from the film Beethoven’s 2nd, and Look What Love Has Done (1995) from the Arnold Schwarzenegger vehicle Junior, both emphasising his ability with a touching and universal family movie song. He was also the winner of two Grammy Awards from a lengthy list of fourteen nominations over a span covering nearly as many years. The wins were for Best Male R&B Vocal Performance for his appearance on Quincy Jones’ track One Hundred Ways in 1982 and Best R&B Performance by a Duo or Group with Vocals for Yah Mo B There in 1985, while among the other nominations was further evidence of Ingram’s influence and longevity, as the co-writer with Jones of PYT (Pretty Young Thing) from Michael Jackson’s Thriller album; their joint nomination arrived in 1984, and the track was later sampled by Kanye West on his song Good Life (2007). With his dense baritone, mesmerising leaps into falsetto, handsome appearance and close-clipped beard, Ingram was a natural pop star and heart-throb, not unlike a precursor to John Legend, for example, in looks and the style of his music. While prolific both in front of and behind the mic, however, his greatest successes came either as part of a duet or an ensemble group, or with the wind of connection to the soundtrack of a hit movie in the sails of the song. For example, among his other most substantial US hits were his debut single Just Once (1981), which saw him billed second to Quincy Jones (like One Hundred Ways, it was a track from Jones’ album The Dude); as a featured vocalist alongside Kim Carnes on Kenny Rogers’ 1984 song What About Me? ; and as one of a chorus backing Jones on his 1990 single The Secret Garden (Sweet Seduction Suite), alongside singers Al B. Sure!, El DeBarge and Barry White. He also appeared on songs by artists as diverse as Donna Summer, the jazz singer Nancy Wilson, and soft rock group Scorpions. Ingram was also one of the many soloists on the 1985 charity single We Are the World, which took Band Aid as its inspiration and was written by Michael Jackson and Lionel Richie, and again produced by Jones. The style of R&B which he was at the forefront of in the 1980s was known as ‘quiet storm’, yet he personally wasn’t someone whose fame or talent was ever boisterous. Of the albums he released only 1983’s debut It’s Your Night was a modest hit, but when his catalogue is taken together Ingram can be seen as an artist who left a substantial footprint upon the landscape of American pop music, particularly that being made by black artists. Born one of six children in Akron, Ohio to a Christian family – his father was both the deacon at the local church and his Sunday school teacher – James Ingram studied at the University of Akron, before joining a band called Revelation Funk and moving to Los Angeles; as a self-taught musician, he could play guitar, bass, drums and synthesiser. He played and sang back-up for artists including Ray Charles and Marvin Gaye, before recording a rudimentary demo of Just Once and letting his publisher hear it – the publisher made sure it found its way to Quincy Jones, who kickstarted Ingram’s career by inviting him to record it for The Dude. Although he never had ambitions to be any more than a backing player, Ingram carved a respectable and successful career in his own right. In recent years he appeared on the US television show Celebrity Duets, partnering Angie Stone, toured the UK with Cliff Richard, and retained his connection with his religion, releasing a gospel record entitled Stand (In the Light).